A demonstrator poses with a lantern. Demonstrators and reporters turn eyes and cameras towards the celebrity organizers of the Dumsor Vigil. 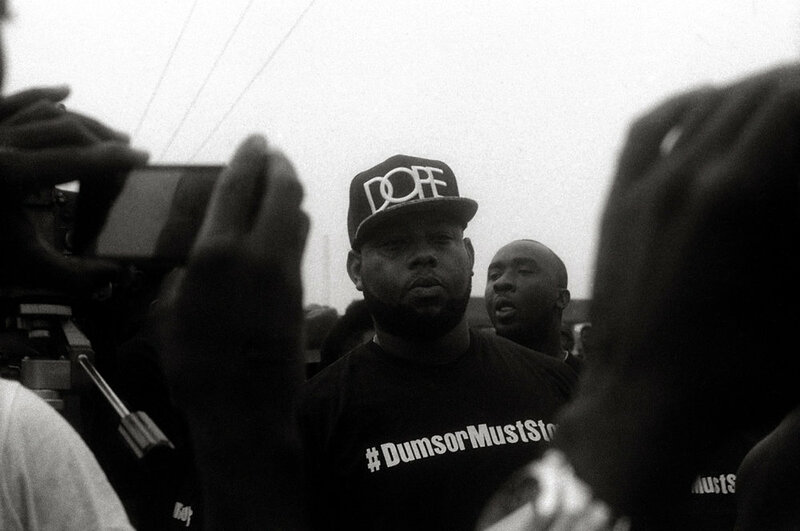 Rapper D-Black wears a t-shirt with the hashtag that helped rally support for the demonstration. "How long should we wait?" "All politicians should sleep in the dark." Two demonstrators pose with lanterns. Actor and organizer Yvonne Nelson takes a selfie. "Bring back our light and stop talking nonsense." A demonstrator carries a refrigerator on his head. 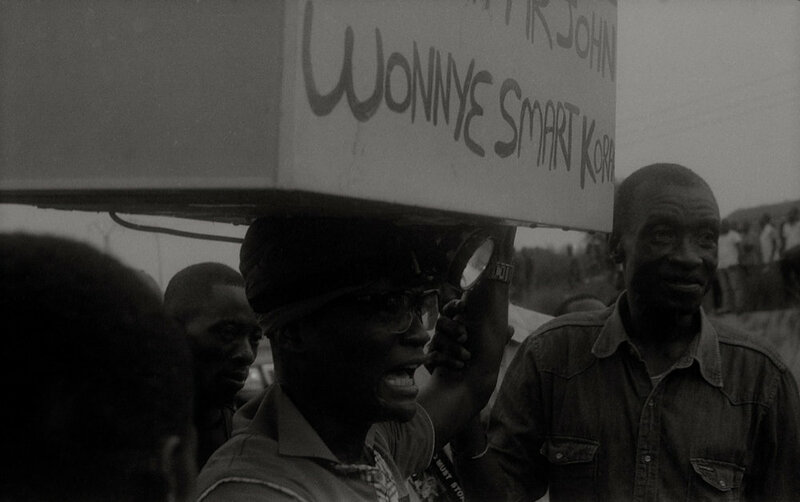 "Mr. John (Mahama), wonnyɛ smart kora." 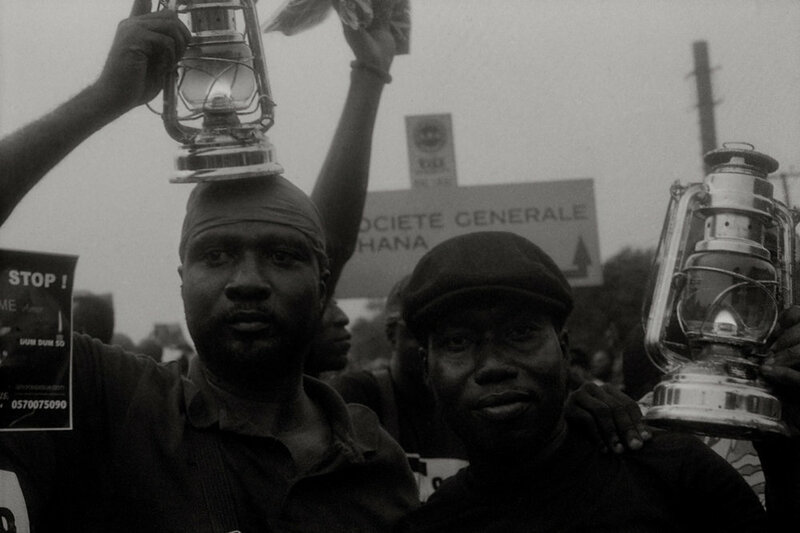 Two demonstrators pose with torchlights. 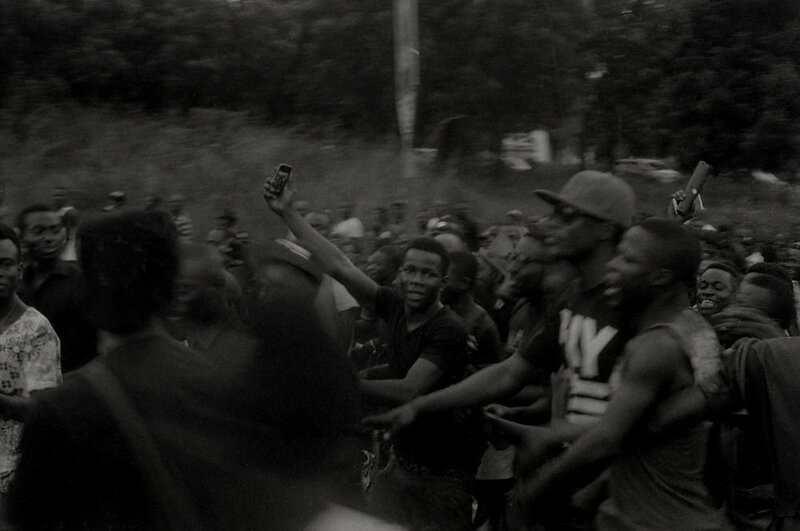 A young demonstrator snaps a photo of rapper E.L. (in cap and shades). "Wake up. Ghana is suffering!!!"